Nine-year-old Imogen Cadzow starts her day like any other NEGS Junior School student. She puts on her school uniform, grabs her books and her violin for her music lesson and gets ready for a full day of learning. The only difference? 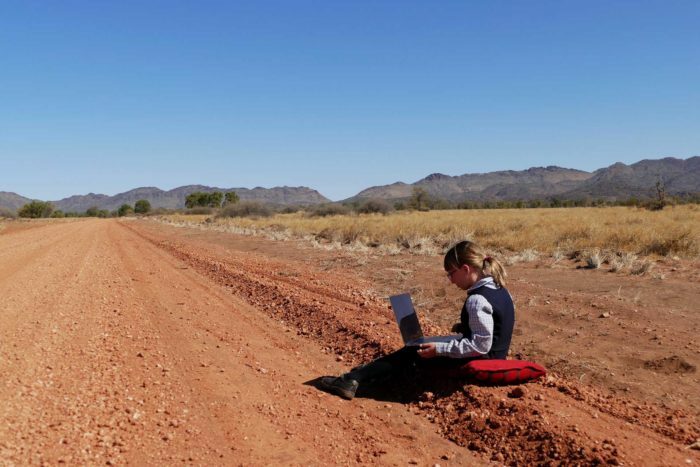 Imogen lives on her family’s remote cattle station some 200 kilometres north-east of Alice Springs in the Northern Territory. Imogen is the school’s first-ever distance education student, taking part in the innovative program first trialled in 2018 and formally rolled out in 2019. Unlike traditional Distance Education models which typically only have a maximum of 1.5 hours per day of direct contact with peers and teachers, Imogen takes part in a full day of education and activities via video conferencing and Google meetings, even attending assembly and the library through her laptop. She makes friends, learns Mandarin and has to put her hand up to ask a question, just like her primary school peers. NEGS Online allows students from any location in Australia to participate and interact with teachers and fellow peers, with worksheets and information uploaded through specialised software. Imogen visits NEGS for at least one week a term for NAPLAN and end-of-year activities, as well as participating in camps, swimming, cross country, and athletics carnivals. With 11 places available for Years 3-6, it’s a chance for remote students to learn school etiquette and practice in social situations before they head off to boarding school.